Such is the depth of this 27 year old web developer’s passion for singing. Mr. Apurba Shah Gopal is from Narsingdi, a district in central Bangladesh. Being extremely passionate about music, he has invested his 15 youthful years into learning it relentlessly. Having faced several difficulties through his musical journey and successfully overcoming those adversities, Apurba is an inspiration to people who want to make music a part of their lives. The initial motivation for Apurba came through his parents. His father, Mr. Vinod Bihari retired as a deputy manager from Bangladesh power development board and his mother, Mrs. Sanchita Bhattcharjee is a house maker and also a poetry enthusiast. Both have seeded the interest of music into Apurba. In the earlier years of his musical journey, Apurba trained under a teacher and picked up the basics. He also picked up guitar and keyboard during this journey. Apurba had an unfortunate first hand experience of what harm a wrong training can do for a singing aspirant. During the initial years of his training he realised that he is damaging his vocal cords because of wrong methodology of his training. Furthermore, his sister had to go through a surgery because she damaged her vocal chords beyond natural repair. Apurba says that it is important to practice, but it is even important to practice in a correct way. And he learnt the correct ways through his second teacher and there is no stopping him after that. Apurba is very punctual and uncompromising about his practice routine. He practices for a total of 3 hours a day. His morning practice starts at 10 am with practicing of suggested practice routine on Riyaz for 30 minutes, followed by another 30 minutes of courses offered in Hindustani style on the app. Then he invests 1 hour each during the afternoon and then in the evening for some ragas and film music. Facing problems in finding right content for training related to different ragas, he stumbled upon with Riyaz that provided him with high quality content on different ragas. Seeing his interest in music, his uncle bought him an yearly subscription to Riyaz content which, he says, has been an amazing gift! Having adhered to this strict practice routine and consistently gaining skills, Apurba is now confident enough to perform in events conducted by his music teacher and also family gatherings. He has even started doing some compositions in Adhunik Bangla! Here is him singing ‘Tum hi ho’! In Apurba, we see enthusiasm that is a healthy mix of inspiration, mindfulness, and a good dose of creativity. We wish him very well for his musical journey ahead and may all his dreams come true! 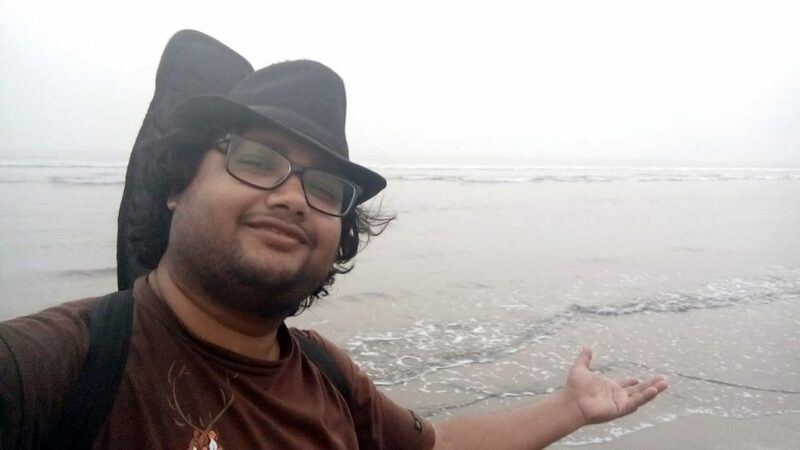 Credits: This article is an excerpt of an interaction of Ayushi Gupta with Mr. Apurba Shah Gopal on his singing journey, compiled in coordination with Swapnil Gupta.